Deep Creek Ranch is located 12 road miles north of the resort town of Steamboat Springs. It is easily accessed via year-round paved and gravel county roads. Scenic Routt County Road 129 follows the Elk River through the lush river valley meadows. 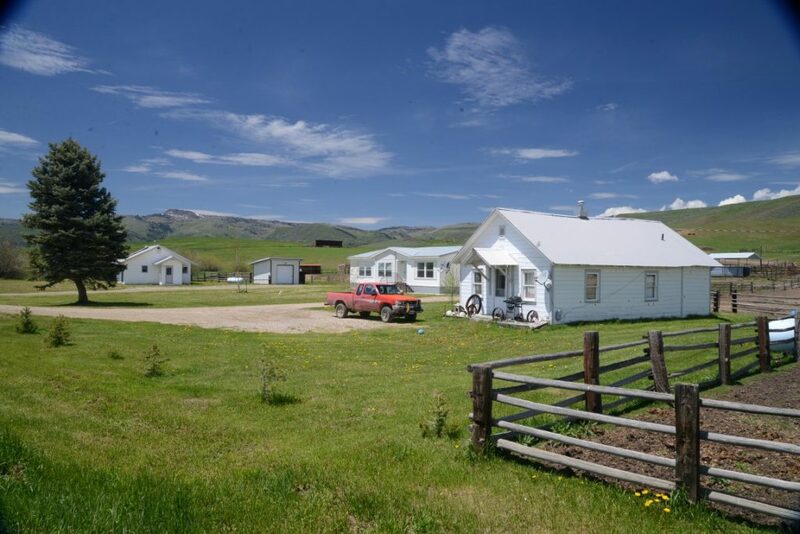 Along the way are several productive and conserved ranches; a real-life example of the value the citizens in the area place on ranching and agriculture. Clark, a 10 minute drive north, is a small community with groceries, a post office and a model K-8 public charter school. This area of the county is known for beautiful, protected landscapes and great year round outdoor recreation. 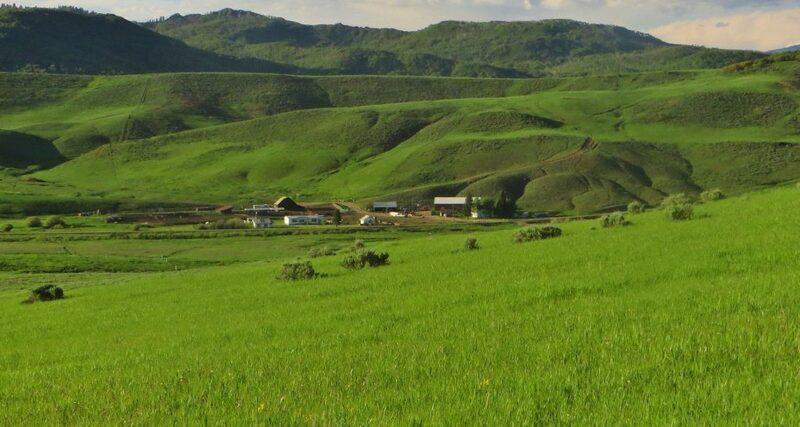 Deep Creek Ranch consists of scenic terrain ranging from grassy, rolling hills to irrigated meadows. 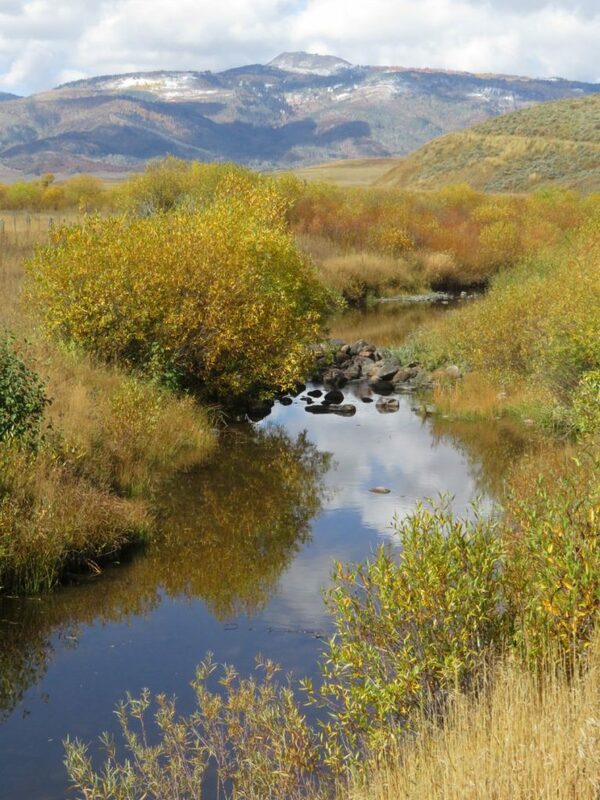 Deep Creek flows through the ranch from west to east, providing water for irrigation, livestock and wildlife. The headquarters and the irrigated meadows are situated along the county road, providing easy access for trucks and equipment. The southern portion of the ranch consists of open meadows and some dryland hay ground. 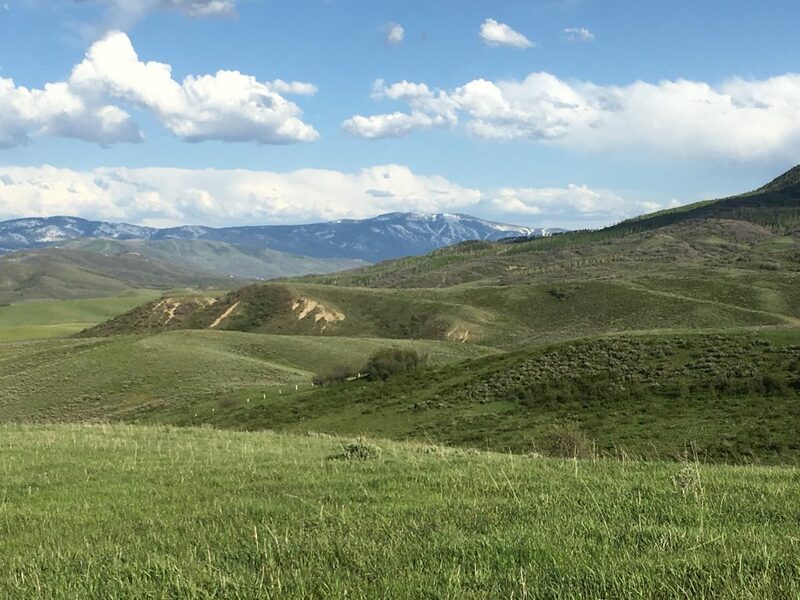 Known for their commitment to conservation, the sellers placed 1,000 acres of the ranch into a conservation easement held by The Nature Conservancy. The opportunity exists to place the remaining acres into conservation. 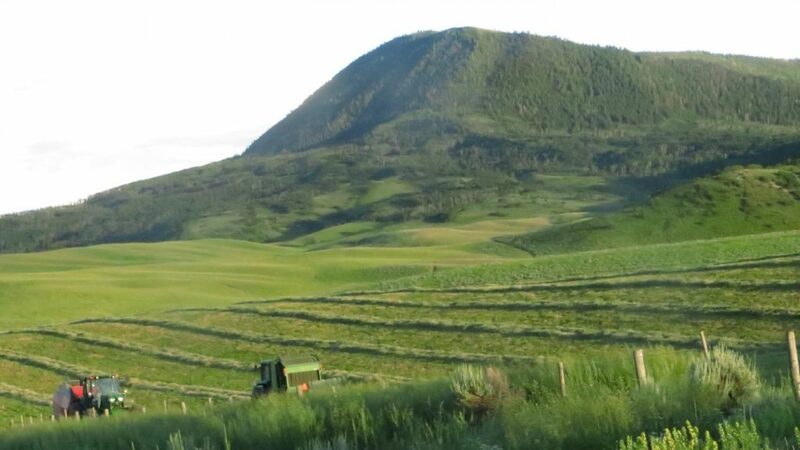 Improvements on the ranch are in good condition and are at about 7,200 feet in elevation. The main home was constructed in the 30’s and is typical of an old farmhouse. It has several bedrooms, 1.5 bathrooms, two levels and defined, comfortable living space. There is also a newer 3 bd/2ba modular on a permanent foundation as well as a 630 sq. ft. frame cabin for employee housing. 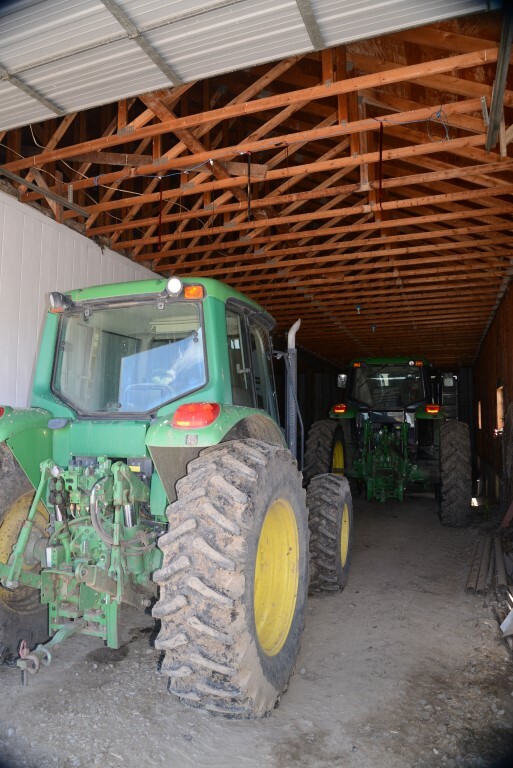 Outbuildings consist of another small cabin, heated shop area, enclosed equipment storage, covered hay storage barns and sheds. The entire ranch is fenced and cross fenced; the fences are in very good repair. Fall hunting for elk, deer, antelope and bear is good. Wide open fields provide excellent terrain for all levels of snowmobiling. Horseback riding opportunities are numerous both on and off of the ranch. This area of northwest Colorado is popular for recreation enthusiasts: National Forest lands, lakes and reservoirs, and groomed trails are only a few miles from the ranch. The ranch supports a year-round cow/calf operation; it comfortably handles the livestock and there is plenty of forage for wildlife. 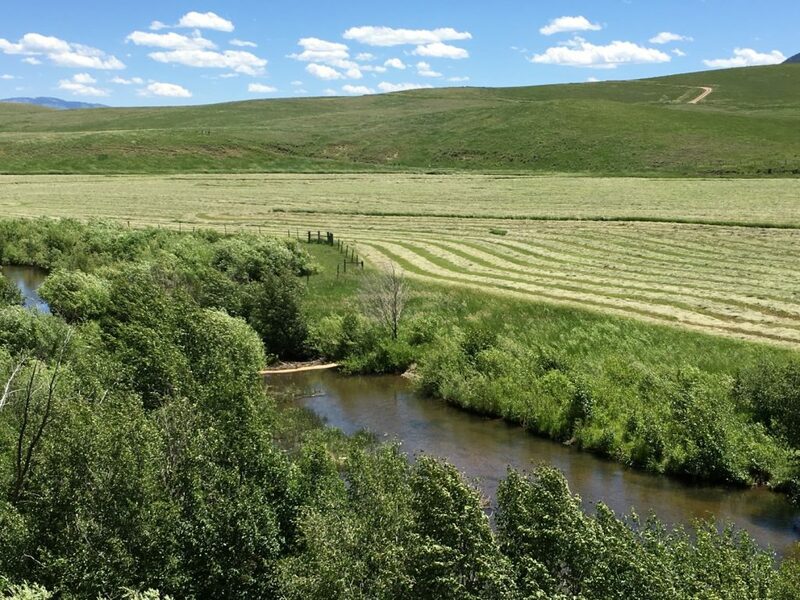 The irrigated and dryland meadows together will produce 400-500 tons of hay in a normal year. 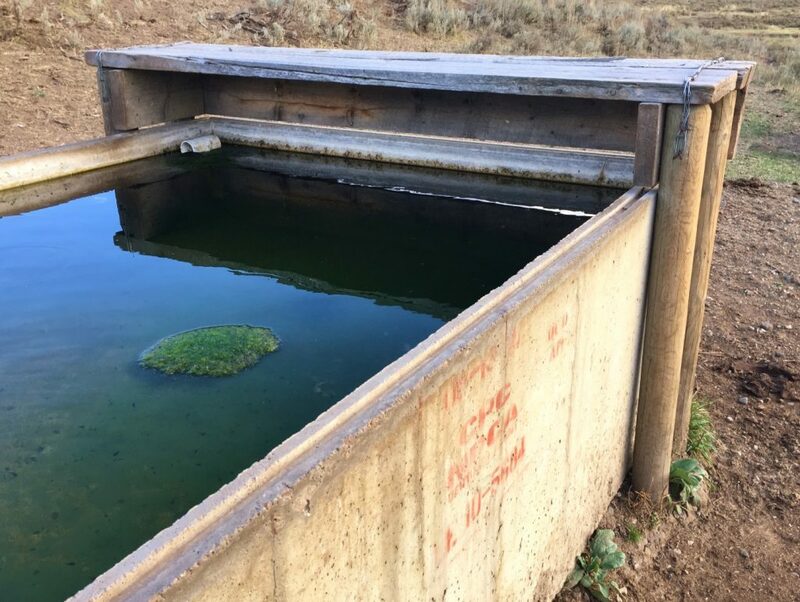 The varied topography and the extensive series of ponds, springs and ditches have helped the manager maximize the ranch’s productivity. Ample spring and summer grass is available on the southern reaches of the ranch. Irrigated meadows provide excellent fall grazing after the hay crop has been harvested. Deep Creek often flows year round, providing irrigation water for area ranches before it feeds into the Elk River. Deep Creek Ranch has an extensive list of adjudicated ponds, springs and ditches. 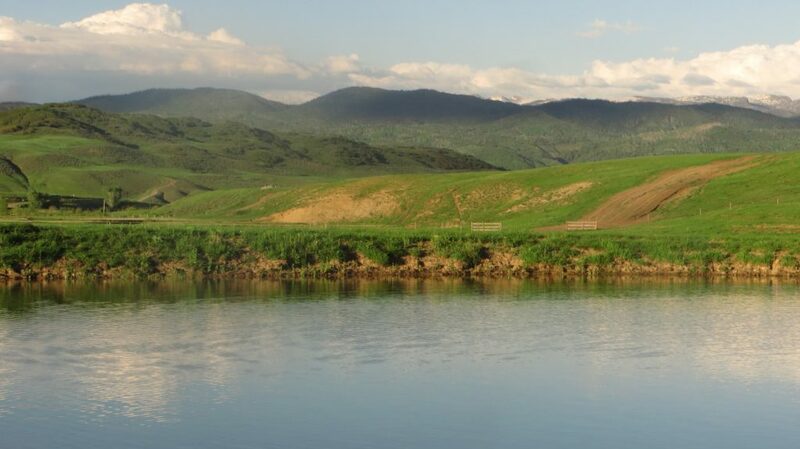 Several ponds and springs are located around the entire ranch and irrigation ditches supply over 16 c.f.s. of water to the hay meadows that are near the headquarters. Contact the listing agent for a detailed list of the water rights. 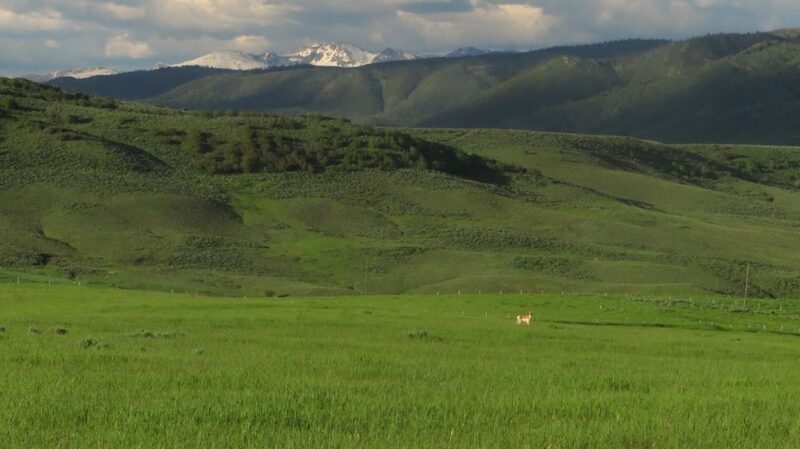 Deep Creek Ranch is a large acreage ranch just north of the world-renowned resort of Steamboat Springs, Colorado. 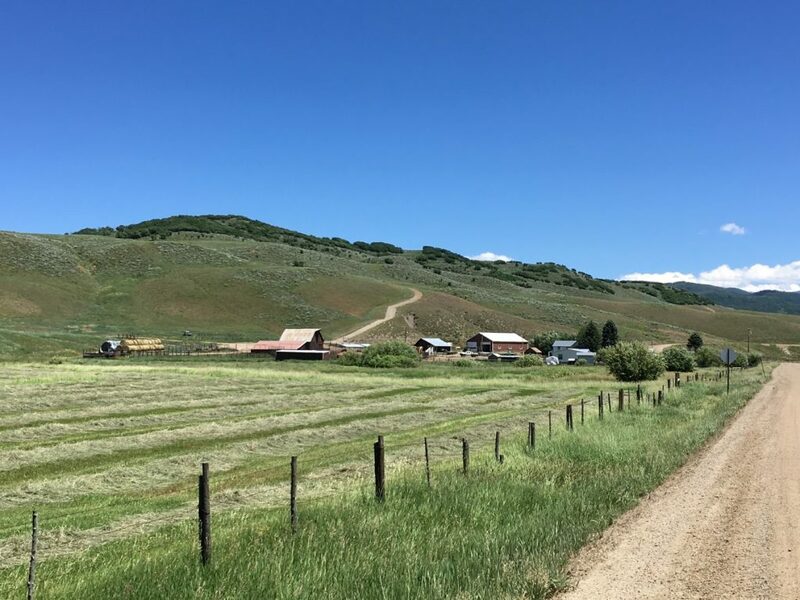 As a result of development pressure, much of the land lying close to Steamboat has been split up into smaller parcels and very few parcels of this size exist. 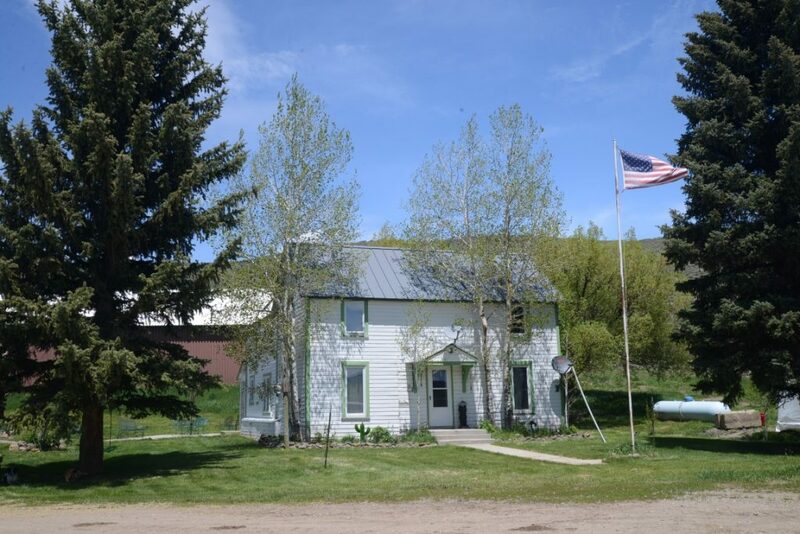 The ranch is priced very well compared to other larger acreage ranches in the Elk River Valley area. Deep Creek Ranch is a unique opportunity to own a pristine piece of land that has been carefully managed during the sellers 40 year tenure of ownership. The ranch is a working cattle ranch with very good recreational attributes and numerous hold and exit strategies. Summers are beautiful and green with long days and maximum temperatures in the 80’s. The average temperature in January, typically the coldest month, is about 1 degree. The air is cold and dry in the winter—perfect for all kinds of winter fun! Spring comes in April and May as the snow begins to give way to the grass. Fall is a treat for the senses with crisp air, bugling elk, vivid yellow aspens and orange oak brush. Annual precipitation comes mostly in the form of snowfall, roughly 300 inches per year.